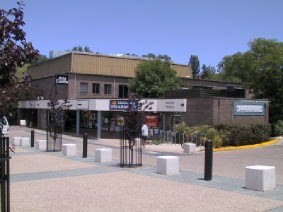 The Arts Centre, located on the Australian National University campus, houses 3 performance venues. Located in the hub of the Australian National University (ANU), The ANU Arts Center features a professional standard theater, Vivaldi restaurant and the Gods cafe. The theater has extensive lighting and staging equipment and can seat up to 336 people. A smaller drama laboratory can accommodate 80 people and there is a music studio that also seats 80 people. The arts center features local and national performances as well as ANU student works. Freud Notices His Fly Is Undone!